August 28, 2018, 3:30 p.m. While Americans are still more likely to believe electric cars are the future of transportation than not (50% do; 34% don’t), 2018 is proving to be a trying year for electric automaker Tesla. 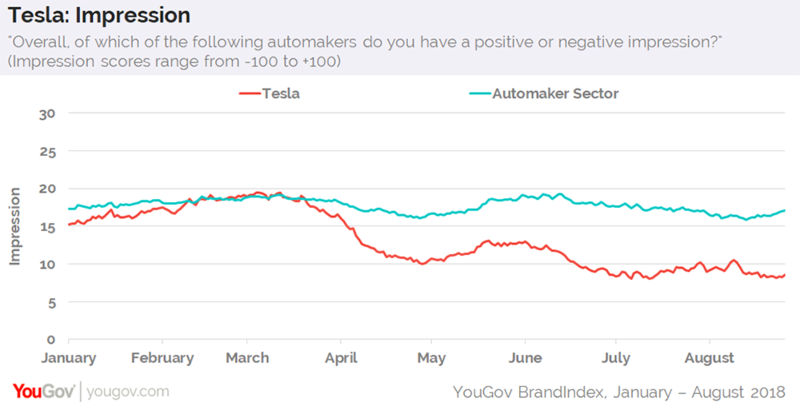 Reports of production delays and layoffs, along with a highly publicized vote to replace Elon Musk as board chairman (shareholders decided to keep him), seem to have taken a toll on the automaker’s public image, according to new data from YouGov’s Plan & Track. In January 2018, for example, Tesla’s Impression score — which asks US adults if they have an overall positive or negative impression of a particular brand — sat at 15. After a couple of discernible drops, the brand’s Impression score has decreased to nine, making it eight points lower than the present sector average (17). 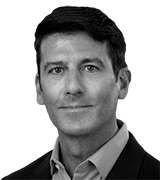 Fewer consumers appear interested in working for the California-based automaker, too. At the beginning of the year, Tesla’s Reputation score — which gauges if people would feel either proud or embarrassed to work for a company — was 22, a couple points higher than the industry average. 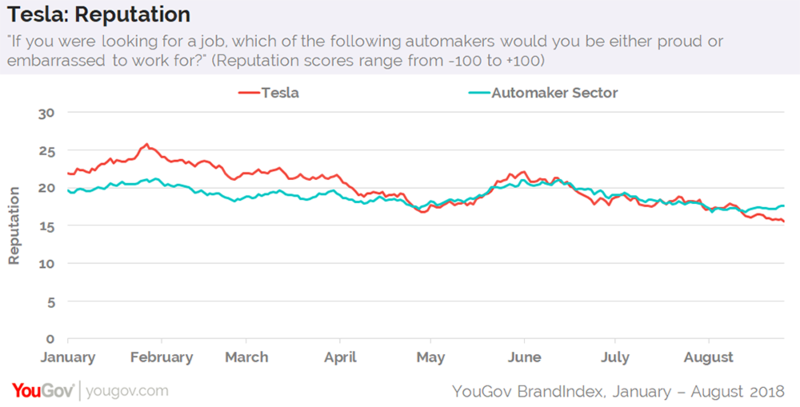 Today, however, Tesla’s score is 16, placing it a couple points below the automaker sector at large. Ultimately, these drops in opinion of the automaker have the potential to hurt future sales. Additional figures suggest that the amount of US adults open to buying a Tesla have diminished from 8% at the beginning of 2018 to 6% near the end of August. 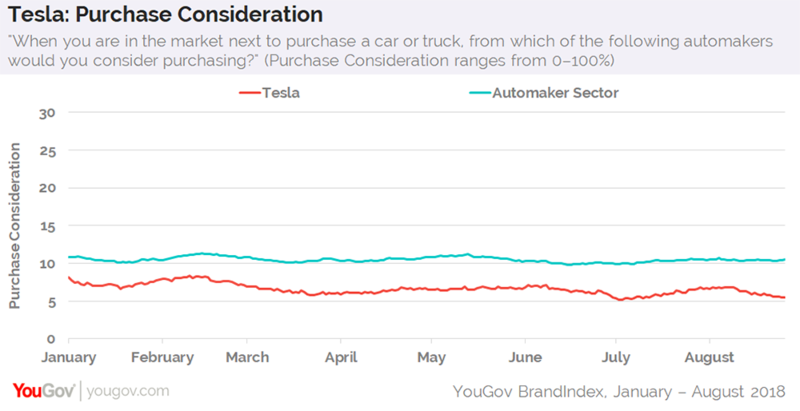 While consumers have shown less willingness to purchase a vehicle from Tesla than the industry average throughout the year, the gap is now five percentage points, compared to three points in January.